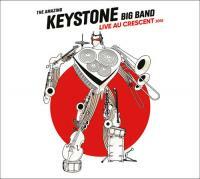 Titre(s) Live au Crescent 2016 / The Amazing Keystone Big Band. Contient Speak no evil. - Blues in E sharp. - Lullaby. - The blues theory. - Waltzin' the pat. - Green chimneys. - Jim. - The flintstones. Notes Enregistré en public le 12 mars 2016 au Crescent de Mâcon.